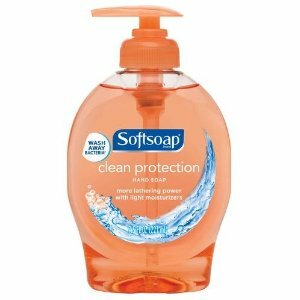 Softsoap 6-Pack for only $5.59! Plus, Shipping is FREE! Nice!� Right now, you can pick up 6 Softsoap Liquid Hand Soap 7.5 oz Pumps for only $5.59 when you use the Subscribe and Save option at checkout!�That makes each Softsoap only�$.93.� And you don’t have to leave your home to get it. All subscribe and save orders ship free too! After placing your order, wait until your order ships.� Then, you can go into your Amazon Account page and click the Manage Subscribe and Save link and cancel it. That way you won�t have continual shipments of your order in the future, if you don�t want them. **Amazon�s prices can change at any time. So the Subscribe and Save price can go up.� Or, the deal may end altogether.� Best to move on these types of deals quickly. Stay up to date on deals like this through the comments on this post and on the Freebies2Deals Facebook Page. Is this a “stock up” price in your opinion? With coupons, you can get them a little cheaper. But, for those who don’t use them, this is a great price! Especially since you don’t have to leave your home!